Some women in Sindh have broken the glass ceiling and not only fulfilled their dreams but have also inspired other women to chase their own. From the very moment they are born, our girls are taught they are dependent upon the men in the family. As the girls become women, they grow up believing they need their fathers, brothers, husbands or sons to look after them and protect them. However, most Pakistani men are unfortunately good at depriving women of their social rights under the garb of religion or culture. Women are often denied an education or the chance to gain employment, deprived of their due share in inheritance, and even killed in the name of honour under the guise of “protection”. Amidst all the gloom, some women in the province of Sindh have broken the glass ceiling and not only fulfilled their dreams but have also inspired other women to chase their own. One such woman is SP Suhai Aziz Talpur, who emerged as the saviour after a foiled attack on the Chinese consulate in Karachi. Born in a village in Tando Muhammad Khan, when her father decided to enrol her into a school, he was taunted and pressurised by relatives to stop his daughter’s education. Fortunately for Pakistan, he was progressive enough to not give in to the pressure, and migrated to another district instead of compromising on his daughter’s education. 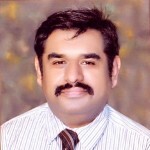 Suhai’s case should be a lesson for all fathers in Pakistan. Her bravery and success is proof that instead of worrying about their daughter’s dowry, they should instead focus on getting them an education so that not only can their daughters contribute towards the wellbeing of their family, they can also protect and safeguard the country the way Suhai did. If her father had accepted his family’s pressure, the nation today would have been deprived of a brave police officer who, despite intense pressure and danger, marshalled her resources professionally and saved the nation from embarrassment in front of its most loyal friend. Suhai is also the first woman to join the police force from lower Sindh, and now, after just after five years of service, she is the first female police officer to be nominated for the Quaid-e-Azam medal. The entire nation today stands proud of Suhai, and we hope her example will only open doors for more girls from rural Sindh to get an education and more women to join the police force. Another woman representing Sindh and making Pakistan proud is none other than Krishna Kumari Kohli. While some people accept adversity as their fate, others fight to change their circumstances, and Krishna is one of those people who strived to make the best of what life put in her way. She was in the third grade when a powerful landlord abducted her along with her family. After remaining in captivity for three years, she was later married off at the age of 16. None of this stood in Krishna’s way, as she continued her education and spoke against bonded labour. 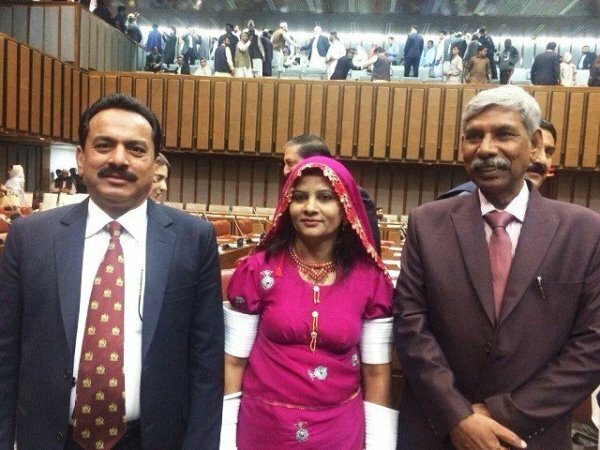 She joined the Pakistan Peoples Party (PPP) and her determined work to benefit her community prompted her party to make her the first female Dalit Senator in Pakistan’s history. Due to her extended efforts, Krishna is now on the BBC’s list of 100 influential and inspiring women of 2018. This list also includes women like Julia Gillard, Australia’s first female prime minister, and Stacey Cunningham, the president of the New York Stock Exchange, alongside 97 other accomplished women who are an inspiration to us all. After facing bonded labour and a life of hardship, Krishna is aware of the problems faced by the women of Sindh as well as the Hindu and Dalit community. As a senator, her work will not only open doors for more women but will hopefully inspire them to pursue politics, which is still a man’s world in Pakistan. While pursuing an education helped Suhai and Krishna with their achievements, some women in Sindh rely on manual labour to support their families, which is empowering as well. 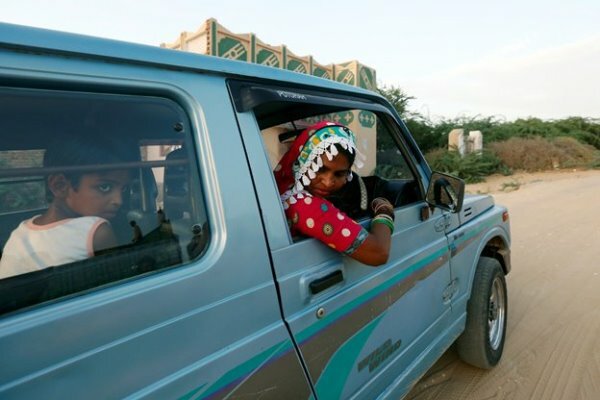 Gulaban, a 25-year-old mother of three, is one of the 30 women trained to become truck drivers by the Sindh Engro Coal Mining Company. Despite being amongst many trainees, Gulaban had an edge because she was the only woman who knew how to drive a car, and that too because her husband defied societal norms in order to teach her. Today, Gulaban is an inspiration to other women, not only for them to learn how to drive, but also being willing to learn to drive a 60-tonne dumper in order to be employed. A similar story is that of Meena Bheel, who was born a woman but acts as the ‘man’ of the family, quite literally. Hailing from the Badin district, she started working in the fields at a very young age and began wearing men’s clothing in order to better fit in. In a land where men are responsible for supervision and do not take orders from women, Bheel is the proud manager of the field. She even rides her motorcycle every day and drives a tractor when the job requires it, breaking all stereotypes associated with women in rural Sindh. A different kind of impact has been achieved by Aansoo Kohli, who is working to provide education to the children in her village. Born near Umerkot, she lost one of her legs at only two-years-old, but possessed a passion for education ignited in her from a young age. Her father passed away when she was young but fulfilling his wishes, Aansoo not only became the first woman to graduate from her village but also opened a school in her house where young children could get an education. A school that started with only eight students now has hundreds, and the number is only growing. Perhaps the original inspiration for the women of Sindh was Mai Bakhtawar, a brave daughter who sacrificed her life in 1947 in her struggle for peasants. When all the men were away from the village for a conference, a feudal lord tried to step in and take away their crops. However, Mai stood her ground to stop him and lost her life in the process. Her sacrifice did not go to waste, as in 1950 a law was passed ensuring a split between the profits of the feudal lords and the farmers, while the feudal lord was also imprisoned for 20 years, despite being the nephew of Foreign Minister Sir Zafarullah Khan. Former Prime Minister Benazir Bhutto was also a fan of Mai’s courage and named her eldest daughter ‘Bakhtawar’ in her honour. The stories of these women and many more like them are proof that only by empowering women can we succeed as a nation, particularly in a province as deprived as Sindh. The need of the hour is to spread awareness that women are not secondary to men in any field of life, and only by adding to their numbers can they work cohesively to bring laws which can then pave the way for improving their status.